When you’re talking about brewing coffee, opinions tend to be strong. We’re not talking about beans, roast, or even the type of coffee maker - but the coffee filter. And there's a lot to consider when selecting your coffee filter. It might be the last thing you think about when you’re putting a fresh pot on to brew, but coffee filters can make a real difference in how your coffee tastes. Coffee filters don’t just keep the grounds out of your coffee, they can also absorb more or less all of the oils that accompany a particular blend. Coffee oils, which are the source of coffee's bold flavor, are absorbed by paper or cloth filters. More absorption, less flavor. For those looking for the most robust flavor, other coffee filter styles such as plastic or metal don’t absorb as much of the oils which has a significant impact on the final result. But there’s a trade-off involved - these coffee oils, called terpenes, can also be associated with higher cholesterol levels in heavy coffee drinkers. In fact, it's recommended that people who drink unfiltered coffee get their cholesterol checked to make sure they are not elevated. So whether you prioritize flavor or your health, choosing the right coffee filter is essential. You’ll want to select a filter that delivers the taste, convenience, and cost that will best suit your needs. No matter what your flavor preference, this guide to the different types of filters available will help ensure that you get the best cup of joe possible. There are important factors to consider when you’re choosing a coffee filter. Take each of these into consideration when you are comparing the various types of coffee filter. Paper coffee filters are constructed to fit specific sizes and shapes of coffee maker baskets - think cone or flat-bottomed shapes. They can vary in thickness. Paper filters are made of either bleached or unbleached paper. Cheaper brands will be made of thinner paper, and provide less filtering of the coffee oils. They’re available in multi-packs and are meant for one-time use. Metal coffee filters are made from a finely woven wire mesh - usually, it is stainless steel coated with gold plating - these are referred to as “gold tone”. The wire mesh filters out grounds, but not oils, yielding a more robust flavored coffee. 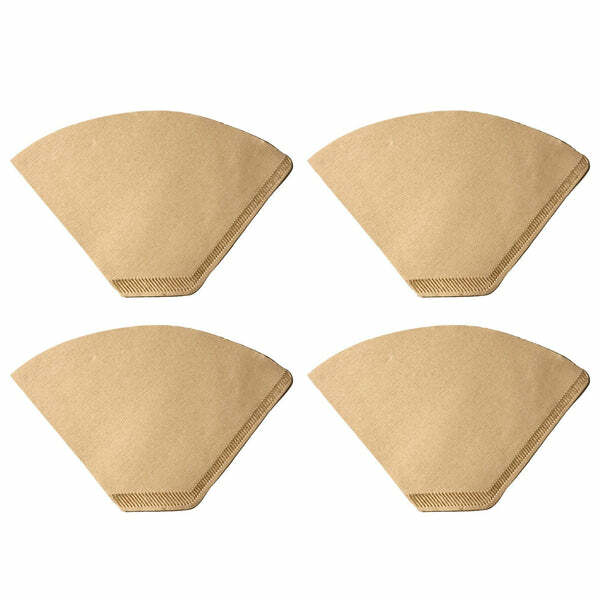 They are also available in flat or cone-shaped styles to fit all types of coffee makers. They aren’t absorbent, don’t soak up any coffee oils, and will last a long time. Some coffee filters are made from a fine nylon mesh that has been mounted to a plastic basket. They have similar filtration qualities to the metal filters, and are also available in cone and flat-bottomed styles. Nylon coffee filters are typically cheaper than metal filters, but they're less durable. However, if you're careful with cleaning and handling, they'll still last a long time. 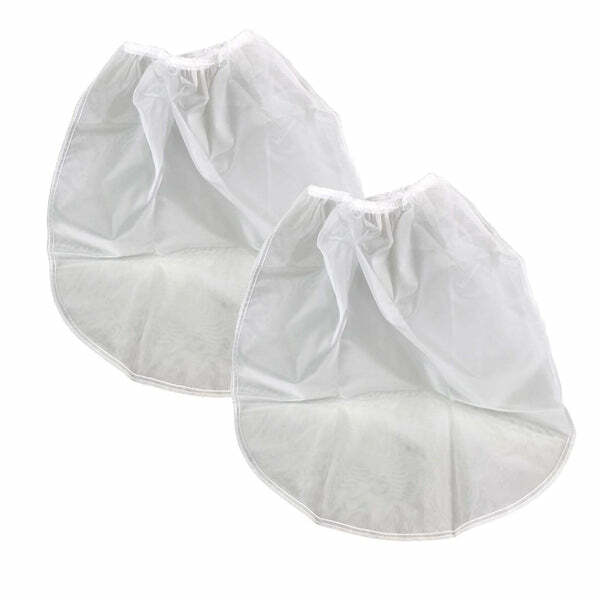 Cloth coffee filters are usually made from a natural fabric like cotton or muslin. They are dropped into the filter basket, where they allow more of the coffee grounds to flow through than paper, due to the larger size of the fabric weave openings. They’re reusable for several months. Some coffee machines feature an internal water filter that removes water impurities such as chlorine, calcium, and other minerals prior to the brewing process. This filter will need to be replaced regularly - more frequently in hard water areas. The filters are configured differently for different types of machines, but will all remove the impurities by using activated charcoal contained in a filter pod. Larger cold brew coffee systems run the water through a brewing container that holds a good amount of water and coffee beans. For maximum convenience, they utilize paper or cloth filter bags that drop inside the container, as well as a straining filter over the brew receptacle. There are 4 important factors to consider when you’re choosing a coffee filter. Take each of these into consideration when you are comparing the various filter types. The type of filtration will affect the final taste of the brewed coffee. Filters that are made of absorbent fibers, like cloth or paper filters, will soak up more of the coffee oils, and remove some of the flavor. Do you like a more “Turkish style" coffee - one that allows a bit of the sediment to flow through the filter? Filters with a loose weave, like cloth, will allow more of the ground coffee to pass through. If you like a strong, robust cup of coffee that really allows you to taste the flavors of the bean, and that delivers maximum caffeine and java intensity, you’ll enjoy the results that you’ll get from a plastic filter or metal "gold tone" filter that's less absorbent. Paper coffee filters are the least expensive option, but are replaced with each new pot of coffee, so your costs mount up over time. 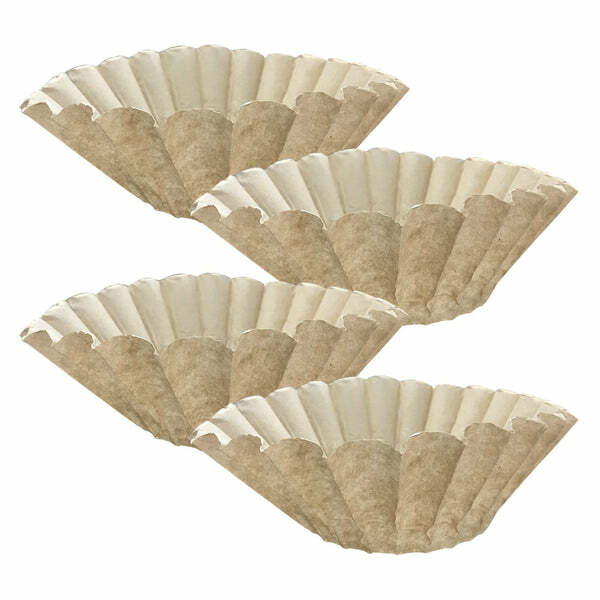 Buying paper coffee filters in bulk is a smart choice to keep your cost per filter low. Reusable coffee filters cost more at the outset, but can be used over and over, reducing your cost over time. Choosing high quality materials like a fine mesh "gold tone" filter will increase the durability of your filter and extend its life. A good metal filter should last years, making it great value over its lifetime. Disposable coffee filters can be picked up and discarded in the trash or recycling bin, and the basket is ready for the next batch. Reusable filters are dumped out and cleaned after each use. Depending on the type of coffee you use, your reusable coffee filter may require gentle scrubbing with a brush. Paper coffee filters are biodegradable, but used only once before going to the landfill. In addition, many paper coffee filters are made with bleached paper. Bleached paper undergoes additional manufacturing processes that require chemicals and increases their environmental impact. If you're choosing paper, we recommend going with unbleached (more on this below). Reusable filters do not require replacement for a long time. The materials used in them will vary their environmental impact. When choosing reusable, go for a high quality filter with a long lifespan. Bleached and unbleached coffee filters are both widely available, and there are minimal differences in the taste of coffee brewed by each. The primary difference that divides buyer opinions concerns the way they’re manufactured. The natural, unprocessed color of paper is brown. White coffee filters have been processed to obtain their white color. The filters are whitened using one of two methods. The first is chlorine bleaching. This process uses a small amount of chlorine to remove the brown color of the wood pulp. Chlorine bleaching requires extra time and has a negative environmental impact, increasing toxic waste water and air pollution. The second method, oxygen bleaching, requires less manufacturing and has less detrimental effects on the environment. To identify the manufacturing process used in white coffee filters, consumers may consult the packaging. Filters labeled with the “TCF” designation have been processed without chlorine bleaching. Unprocessed paper filters are their natural brown color, and have not undergone the bleaching process. Fewer chemicals and less environmental impact? We think unbleached coffee filters are the obvious choice! That said, some people say that unbleached coffee filters can add a slight paper taste to their brewed coffee. Thoroughly wet the filter by pouring hot water over and through it. Discard this water. Add coffee to the filter basket, and continue the brewing process. So, if you're going with paper coffee filters, hopefully this convinces you that unbleached is the way to go. These coffee makers prepare your coffee by drip brewing process. Although some actually take the extra step of grinding the coffee directly on the machine, the rest of the brewing sequence remains the same: Water is added to the reservoir on the unit, and is heated. The hot water then drips over the ground coffee that is held in the in the filter basket, and the finished brew pours into the carafe below. Users will need to add a filter to the brew basket that holds the ground coffee. This reusable metal filter provides users with a durable, long-lasting to enjoy flavorful coffee roasts. The metal filter doesn't absorb coffee oils like paper or cloth filters, making for a robust and flavor-filled cup of coffee. Pour-over coffee makers are a simple way to make smaller quantities of coffee. They provide maximum control over the process by allowing the user to manually pour the hot water over the ground coffee, which ensures even saturation and a customized rate of drip. The key piece of a pour-over coffee system is the cone. This can be designed for placement over any mug or carafe as a separate piece, or part of a system that is already built on to a carafe. 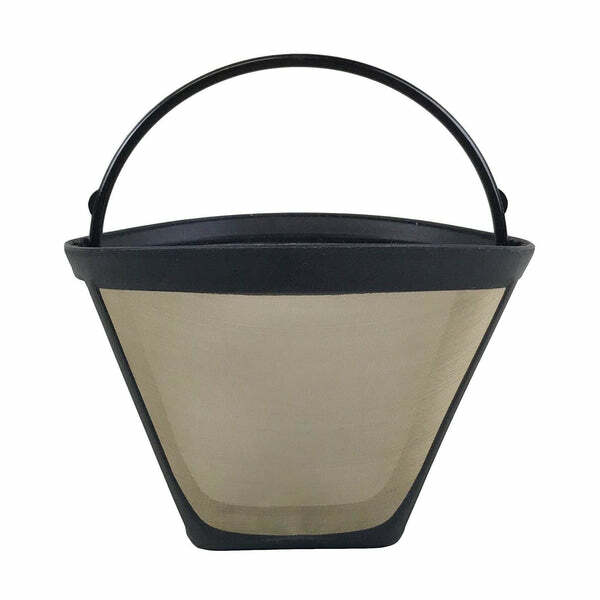 This cone can be lined with a paper filter, or the cone itself can be made of a fine stainless steel mesh. The traditional percolator style coffee maker still has devoted fans. Whether stovetop or electric, the source of the heat makes no difference in how the coffee is brewed. After filling the pot with water, ground coffee is placed in a metal filter basket at the top. When the water is heated, it is pushed up through a tube, and falls back through the filter basket, which extracts the oils and makes the brewed coffee as it returns to the pitcher below. Although the metal filter basket filters the coffee grounds, some prefer to add an additional paper filter to strain out larger particles, absorb oils, and provide a smoother flavor result. These come in two types - a donut-shaped disc that fits around the water tube, or the standard flat-bottomed paper filter that can be pushed over the central post. These unbleached paper filters provide percolator coffee maker users with an easy-clean filter basket, smoother coffee taste, and fewer escaped coffee grounds in your brew. Dimensions: 7.1" x 4" x 1.9"
Cold brew coffee is prepared without using any heat - thus the “cold” description. This style of coffee brewing is becoming more popular for its ability to provide smooth taste and lower acid content. Larger cold brew coffee systems hold the water in a brewing container that contains a good amount of water and ground coffee. For maximum convenience, use a reusable, washable strainer bag over the mouth of the brew receptacle. Bonavita Coffee Maker owners will love this reusable metal filter. It provides the smooth but robust taste they love in their brew, while making it easy and efficient to clean up after every brew session. Dimensions are 4.3" x 4.3" x 3.9"
Your Keurig single-cup coffee maker will require regular changes of its charcoal water filter to keep each cup of coffee tasting as good as the last one. Part of the secret of those perfect Keurig cups is in the purified water that the system uses - and these filters handle the task. Bunn brand coffee makers are made for frequent and long-term use in commercial environments. When you’re making a lot of coffee for a business, you don’t want to be bothered with taking the time to dump and clean filters with every valuable pot. These unbleached paper filters come in the quantity you need for heavy use, while providing the smooth flavor that will please the widest variety of coffee drinkers you’re serving. These charcoal coffee filters can be used in a in a variety of Mr. Coffee brand coffee makers. They will keep your coffee free from odors, calcium and chlorine if they are changed regularly, every 3-6 months. This high quality Melitta coffee filter will make sure that it develops the flavor of your coffee perfectly. It is designed to fit all Melitta coffee makers using a standard #4 cone filters. No longer will you have to throw away your used coffee filters as this filter is washable and reusable. Height: 3.4" and Diameter of filter: 4.63"
Chemex® coffee makers use a thick filter to brew coffee. This filter is thick stainless steel that provides a full-flavored coffee as it lets the natural oils from the coffee through. It is also extremely durable and you will not have to worry about it breaking right before you make a delicious coffee. This cap and filter set fits the Aerobie AeroPress coffee and espresso maker. The red travel cap is made of silicone and the filter is made of 100% ultra fine stainless steel. The cap is also easy to remove by pulling the tab. No matter what your coffee brand, you’ll find that the right kind of coffee filter makes a difference in how that cup of java tastes. Once you’ve determined your personal taste preferences, your budget, your concerns about environmental impact, and your need for convenience, you’ll be able to decide between the main types of coffee filters out there. Each has their pros and cons, and you’ll be choosing between paper, metal, plastic, nylon and cloth for your filter needs. We’ve listed the positives and negatives of each above so that you can make an informed choice. We’ve made recommendations about the best filters for your particular type and brand of coffee maker, but whatever your needs, you can always contact us for more help and recommendations, or explore our wide selection of coffee filters and supplies. Receive Crucial updates & tips for improving your day. What’s the Buzz With Caffeine? 5 Effortless Ways to Keep your Fruits and Vegetables Fresh Longer!